Don't wait another minute to register for Catalyst 2008. This could be the year it sells out Gwinnet Arena! 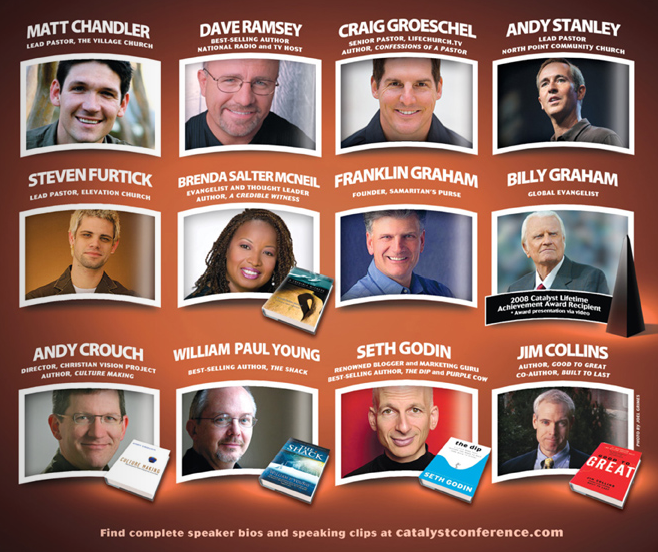 Held October 9-10, just north of Atlanta, this is one amazing conference for leaders in business, church, and home. It's the perfect blend of fun, great learning, and amazing worship times. I believe in Catalyst so much that I put my money where my mouth is, and paid for two of my lifelong friends to attend this year. It's that great. The Access staff will be heading up on Wednesday, October 8, and coming home late on October 10. You should join us. There's a special rate for Access volunteers. Give us a call and we'll help you score a significant discount. And, trust me on this: Book your lodging now. You don't want to end up in the same hotel we got last year!